As one of the world’s most-visited cities, Paris relies on tourism to thrive economically. While that’s generally a mutually beneficial thing, it has its downsides. For one thing, certain areas can seem devoid of “authenticity” and more akin to a sort of cultural Disneyland. Visitors yearning to encounter the capital in a halfway-genuine way may feel frustrated by a sense that they can’t find the “real deal” if they spend too much time in these places. 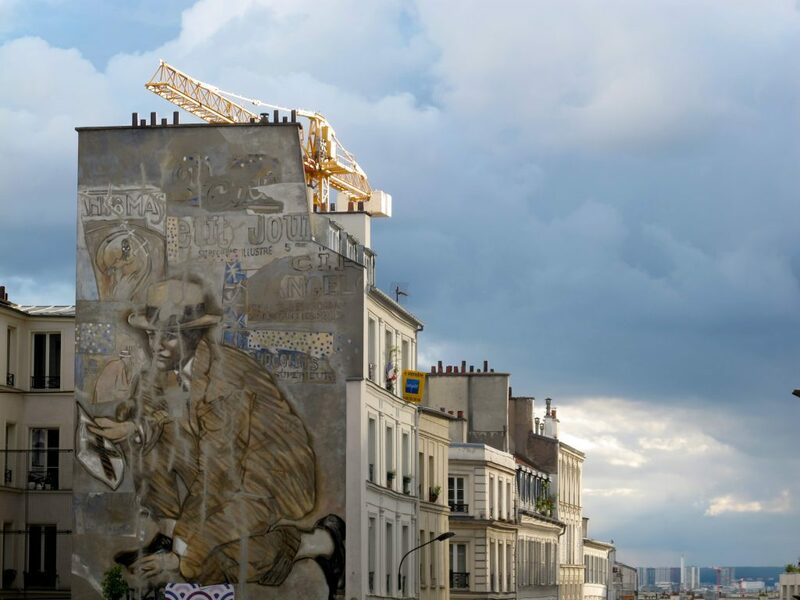 In turn, locals often believe their city is performing a fantasized, outdated version of itself that tourists want to see, preventing Paris from evolving for the 21st century. 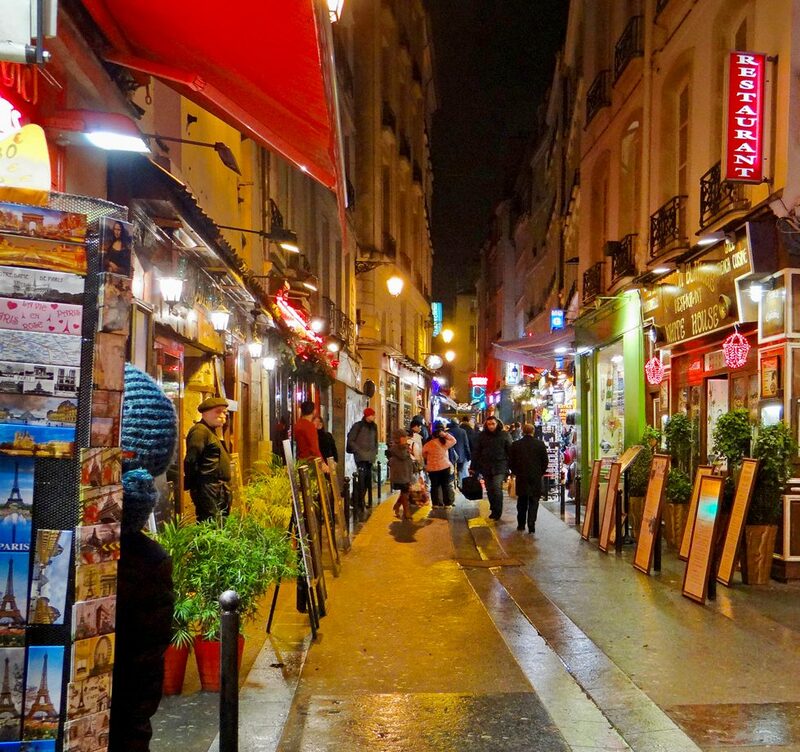 Whether or not you agree with these observations, tourist traps and street scams in Paris are common. I personally think it’s best to mostly avoid them if you want to fully enjoy the city– and keep from becoming an unwitting vicitim. Here are 6 ways to steer clear– and my tips for how to spot typical traps and scams in advance. Please note: for specific advice on avoiding pickpockets, ATM thefts and related crimes, see my guide to how to stay safe in the capital. 1. Avoid the lure of sidewalk peddlers and “criers”. Don’t be overly tempted to dine in restaurants that have “pushers” beckoning you in– or huge menus displayed outside. You may feel a stab of sympathy for someone if they’re urging you to come inside their shop or restaurant from the sidewalk, but you’d likely be better off swallowing your bleeding heart and moving on. If a place is worth visiting or eating at, owners don’t generally have to beg for business– and this is a common practice on “tourist-trap streets” (see below for more on how to spot these). In all but one or two cases, the food or service in question has been mediocre (at best) when I’ve given in to pleas from sidewalk-pushers. At the worst, whatever they’re selling is stale or below-standard– and usually overpriced to boot. The one instance where this advice doesn’t apply? When you’re visiting an open-air market such as the lovely Marché d’Aligre. It’s perfectly normal at traditional markets like these for vendors to call out with singsong cries: “Tomates, tous juteux! (juicy tomatoes! )” “Ananas frais, 1 Euro! (Fresh pineapple, only 1 Euro! )” Here, I fully encourage you to take part in the cultural experience. The advertised deals are often as good as promised, too. 2. Don’t let anyone approach you with shiny trinkets or make bodily contact with you. Vendors trying to scam tourists by “selling” bracelets are a common sight around the steps of the Sacré Coeur in Montmartre. Beware. In certain areas, tourists need to avoid scammers who approach with wares such as bracelets or trinkets, attempting to force you to buy them by placing them around your wrists or in your hand. 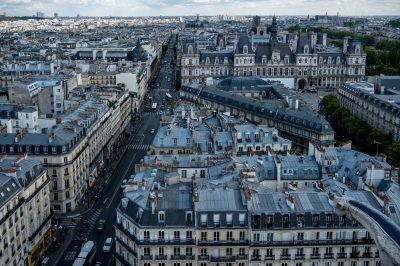 The area around the Eiffel Tower, Sacré Coeur, Arc de Triomphe, Louvre and other popular tourist sites in Paris are common lurking sites for scammers. Keep your wits about you in these high-traffic areas, especially. If anyone comes up to you offering jewelry, souvenirs or other objects and especially if they attempt to touch you in any way, avoid eye contact, say “no” in a firm tone and walk away. Read related: Yes, It’s Still Safe to Visit Paris. Here’s How to Stay Secure. If an aggressive vendor manages to force a bracelet around your wrist or place a souvenir trinket in your bag, remove it calmly, return it, say no and keep walking. You have rights as a tourist, and should never feel pressured or forced to buy something from a vendor. This is simply a scam– and too many gentle-souled visitors give in out of fear or misplaced sympathy. 3. Learn how to identify lousy food and mediocre restaurants. Ha– I tricked you. 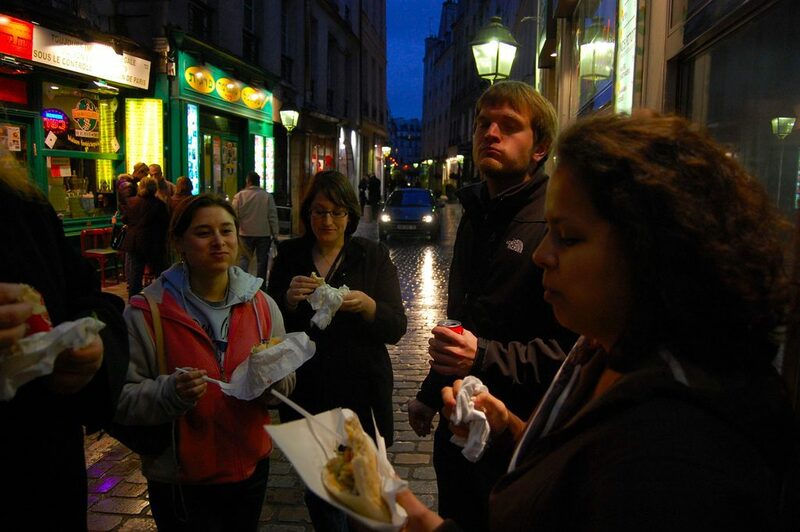 Here’s an example of a decent street crepe, made fresh-to-order. Avoid ones that have been sitting around in a pile all day. 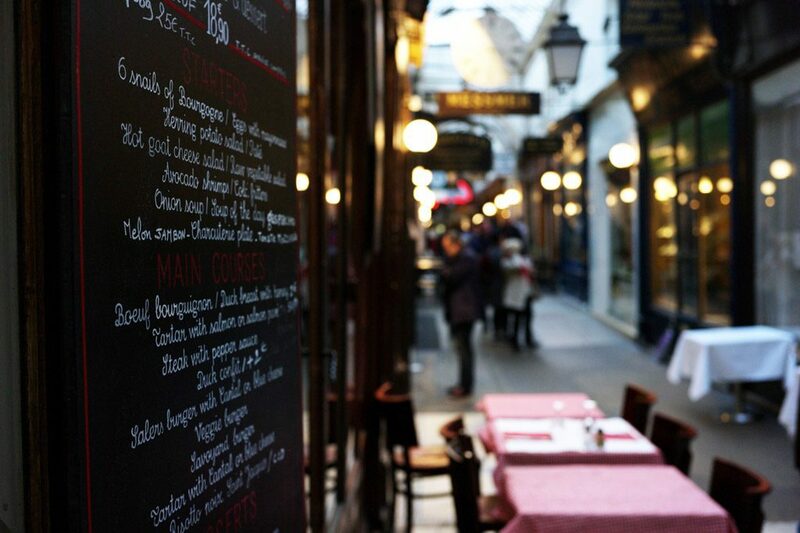 In a place like Paris, you’ll probably agree, it’s semi-tragic to feast on bad food. Yet you’d be surprised to learn how many visitors leave wondering where they went wrong– and feeling as if pretty much all their meals were mediocre. Here’s the truth (according to moi). Especially in the most touristy areas, restaurants and food stands in Paris tend to be mediocre, simply because they can be. After all, the owners don’t have to serve excellent fare to attract a steady influx of customers. Hungry and tired, tourists stumble in from off the streets (heed my warning in tip # 1). They see prominent signs for an “authentic” three-course French meal complete with wine for only 18 Euros outside, and they’re sold. The trouble is that with some rare exceptions, these sorts of promises of authenticity point to just the opposite. This is particularly true in areas that tourists flock to (Latin Quarter, Montmartre, places around the Eiffel Tower or Notre Dame, etc). What About Street Food Vendors? Do the ingredients look fresh, or like they’ve been sitting there for a while? Remember, you really don’t want to be hit with a bout of salmonella from salad greens that haven’t been stored or washed properly. Is your sandwich/crepe/falafel etc. being made-to-order, or is it pre-prepared? 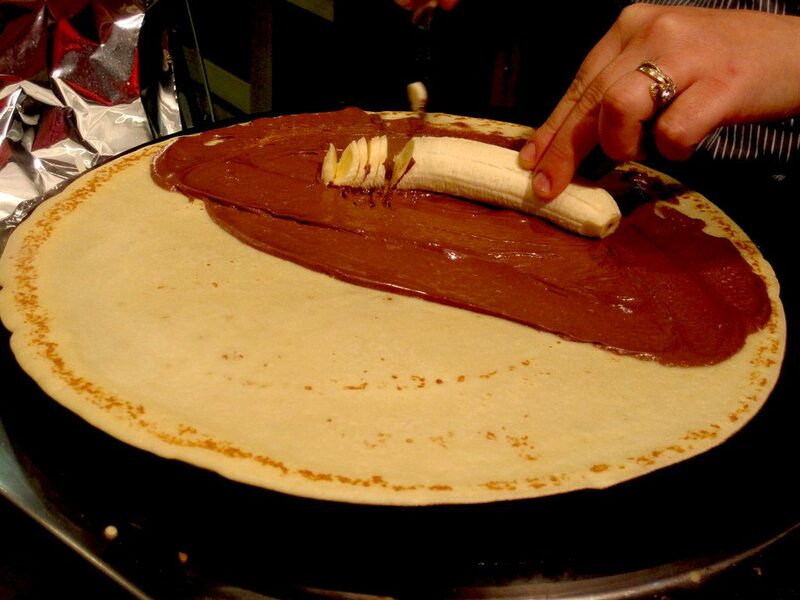 For crepes, always choose a stand where the crepe itself is prepared in front of your eyes, from fresh batter. For sandwiches, avoid pre-prepared ones from street vendors. Those made at decent bakeries are often fine, however. Is the vendor in question located in the shadow of a big-ticket tourist attraction? If so, check reviews and prices. Chances are you’d be better off finding lunch on a nearby side street. It’s likely to be both cheaper and tastier. I know how hard it can be to evaluate restaurants and food stands in a place with as many options as Paris. On a final note, I recommend sites such as Paris by Mouth and TripAdvisor for reliable, objective reviews of any place you may considering. Also see my guides to the best street food in Paris and the best creperies in the capital to make sure you beeline to the good stuff. 4. Leave souvenir-shopping to the end of your trip– or the airport. I don’t mean to be a snob about souvenir shopping. For many tourists, there’s something essential and entertaining about procuring a few pieces of memorabilia, and I entirely respect that. However, I do think some tourists end up in overpriced, uninspiring souvenir shops simply because they’re not sure where else to look. 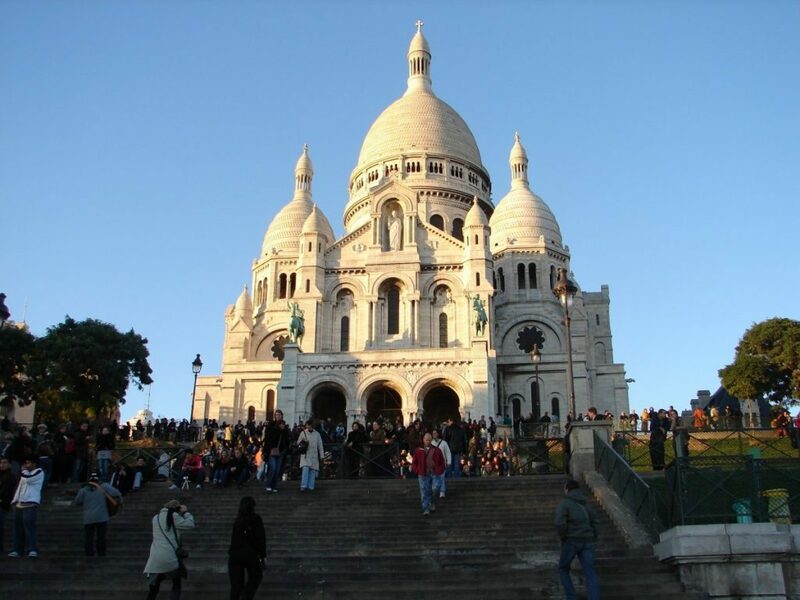 Around major tourist attractions, such as the Rue de Rivoli near the Louvre and the streets around the Sacré Coeur in Montmartre, expensive souvenir shops abound. If these pique your interest and you want to have a browse, by all means do. Just don’t spend too much of your trip in these sorts of places– that’s my strongest advice. After all, the main Paris airports all have extensive duty-free shops selling the sort of typical fare you see in souvenir shops in town– often at lower prices. And if gift-shopping is firmly on your agenda, there are certainly tons of interesting places to look. Maybe your favorite uncle would prefer a miniature Arc de Triomphe suspended in a snow globe. Go for it, if that’s the case. But your loved ones might also be thrilled with something a bit less expected. Why not look for an original print of Paris from a flea market or antiquarian art shop? 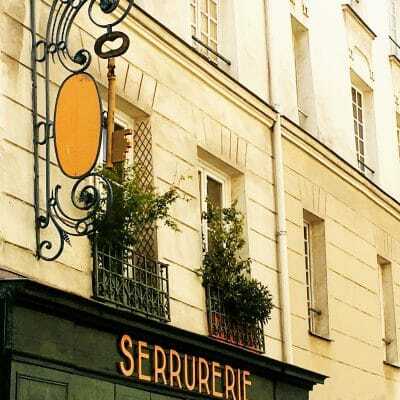 Or hunt for a Belle-Epoque-era brooch in the Marais? Even big department stores such as Galeries Lafayette can be great places for high-quality, authentically French items such as a chocolate, mustard and wine. You can see this handy guide to finding and choosing more authentic gifts from Paris. 5. Tell tourist officers & guides you’re after a “deeper” Paris– and learn to seek it everywhere you go. 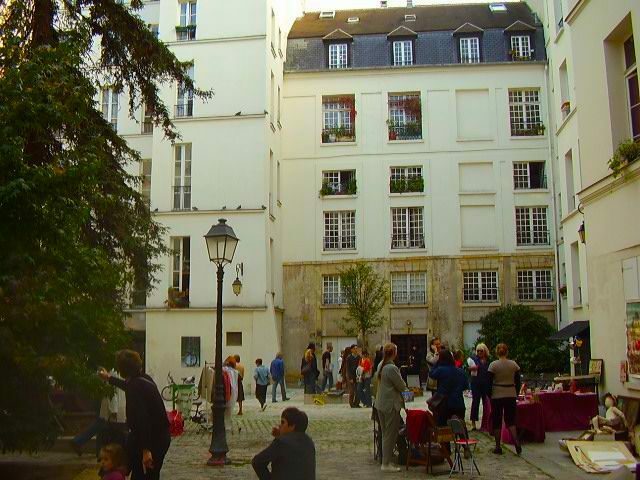 Even touristy areas of Paris– such as the Marais– reserve quiet passageways and deep history. It’s important for tourists to be clear about what they want when looking for a guided tour or advice from tourist boards. 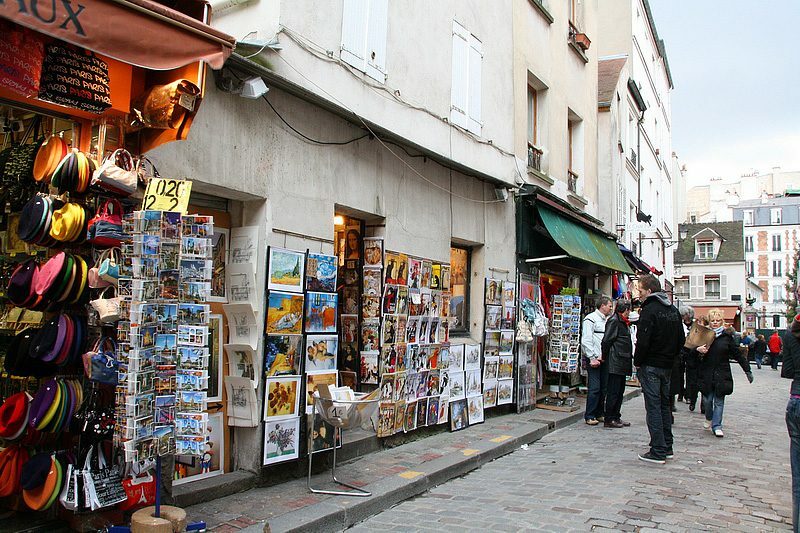 Many assume that visitors are after the “iconic”, post-card pretty version of Paris that tends to get reproduced ad infinitum in brochures and movies. If you’re looking to engage with Parisian history and culture in deeper ways, some careful choices are in order. First, when you head to the tourist office or buy a guidebook looking for recommendations, let the friendly staff or bookseller know that you’re after something substantial and “atypical”. You may be surprised at how enthusiastically they recommend a quirky book or tour. Secondly, don’t just embark on any old guided tour. Choose ones reputed for their knowledgeable guides and in-depth coverage on topics that interest you the most. A three-hour bus tour of the whole city is likely to wax superficial and barely scratch surfaces. 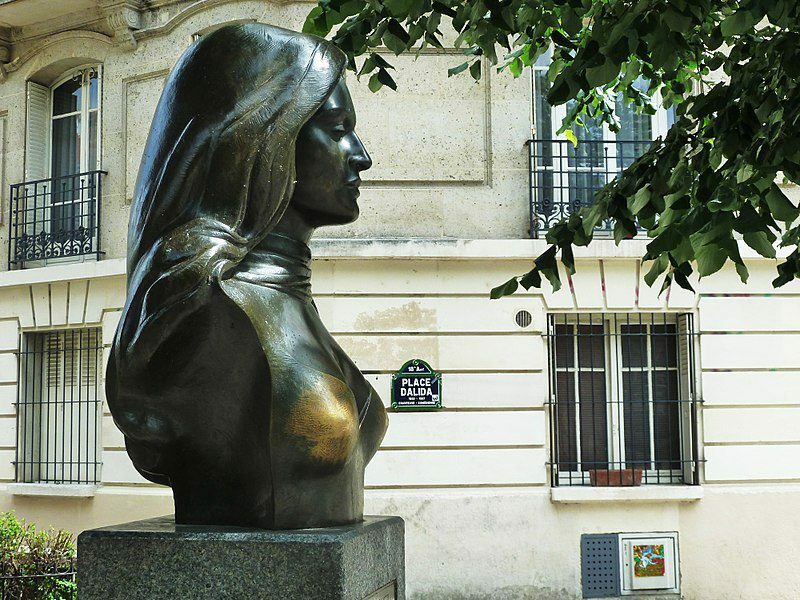 If you’re a literature fan interested in learning about where celebrated writers lived and worked, or a history buff eager to see where the revolutionary barricades went up in Belleville, choose a tour more likely to really satisfy your curiosity. 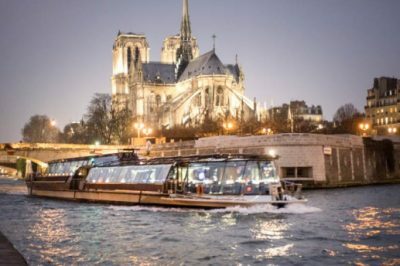 I have tested– and recommend without reservation– the guided tours from Context Travel, Discover Paris, and Eating Europe. Finally, remember that Paris has so many dizzying, complex layers of history that you should always be looking for the fine details. 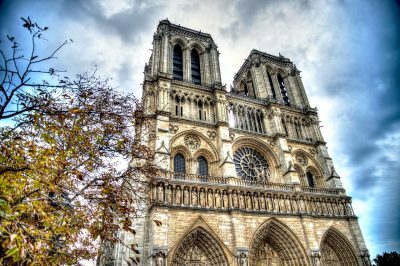 As I try to stress in my guide to what to see as a first-time visitor, even places like Notre-Dame Cathedral and the Latin Quarter hold plenty of secrets. You can engage more deeply with things no matter where you roam. It just takes a bit of concentration and resolve. 6. Never get in a taxi without an illuminated rooftop and a fare meter. 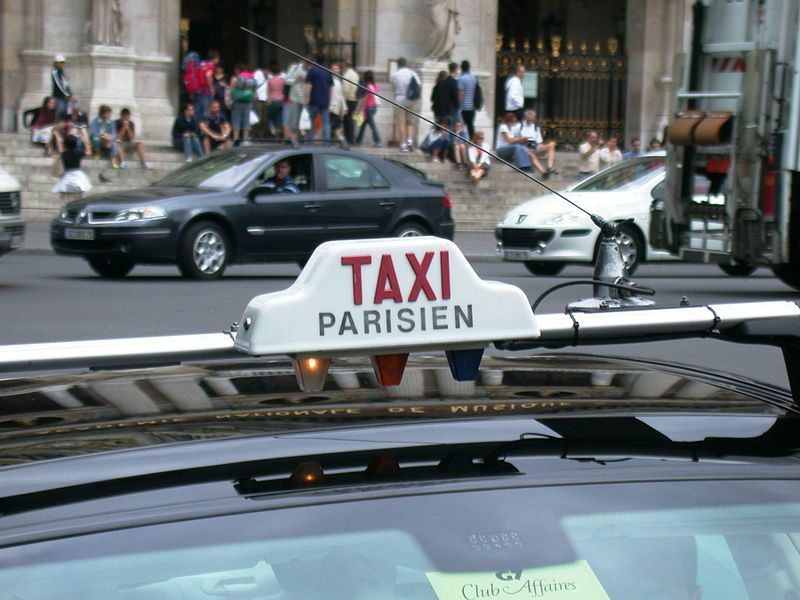 As I discuss at length in my piece on hailing reputable airport taxis in Paris (and avoiding the bad ones), there’s one crucial rule to follow. 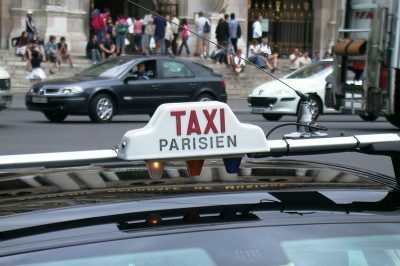 Never get in a cab that doesn’t clearly have both an illuminated rooftop sign reading “TAXI Parisien”, and a meter inside. If you ignore this advice, unscrupulous companies and drivers may steeply overcharge you, or worse. Protect your wallet and yourself, and stay away from dubious “taxi” drivers. If you prefer to pre-book a ride, you can reserve a one-way or round-trip fare online with Taxi2Airport. Book using this link and get 5% off the fare for your first trip. 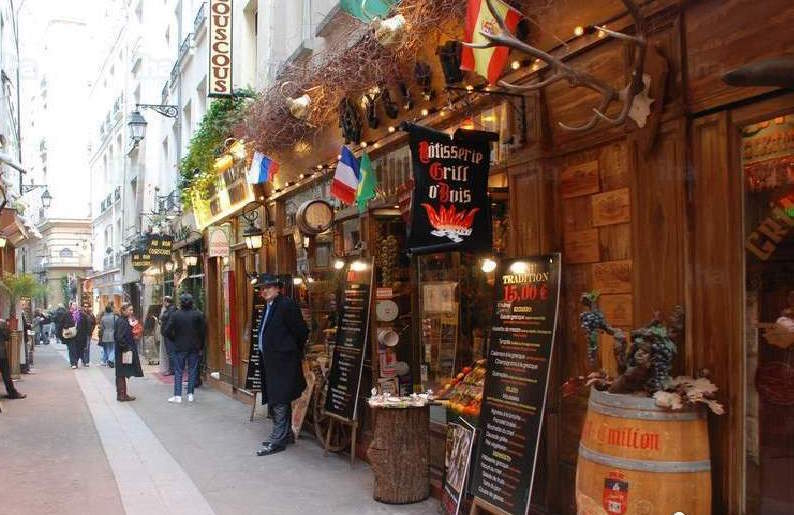 Your Own Tips for Avoiding Tourist Traps in France? Have I missed something important? If you have your own tips for how to steer clear of traps and scams, I’m sure fellow readers would be thrilled to hear them. Leave your thoughts below!